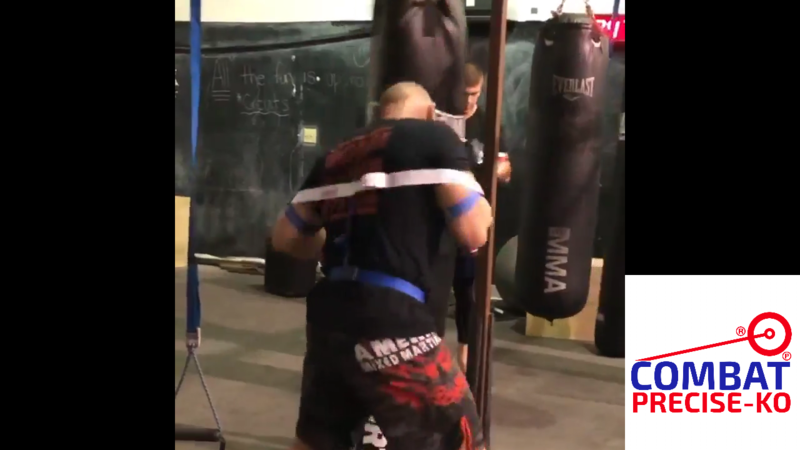 MMA strength and conditioning gear for mobility, warming up, and to get full body Combat Sports power workout, training as usual. The tension generated by our patented Exoprecise Resistance Technology from the previous phase, Resisted Load; transforms to acceleration towards your “striking zone” giving you an MMA strength workout, guiding you to land hard punches; with knockout speed, and power, developing fast twitch muscle fibers, relieving pressure on joints. Striking speed, punching power, and precision carry over to fight night, via brain and muscle communication systems.